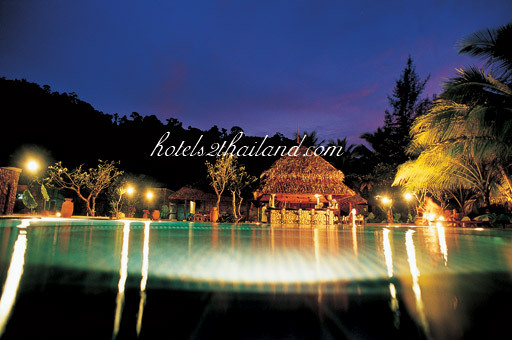 Nestled between tropical evergreen forests and a secluded white sandy beach Khaolak Paradise Resort is a tranquil haven with traditional Thai charm and gracious hospitality. 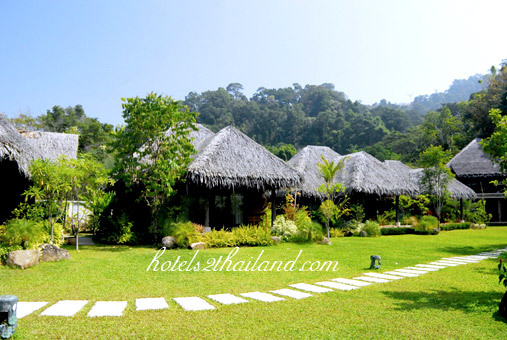 Located approximately one hour drive from Phuket International Airport the hideaway resort is surrounded by awe inspiring beauty the perfect getaway for romance and relaxation. Laem Ru National Park provides a lush mountain backdrop and the Andaman Sea just steps away glistens with turquoise hues. 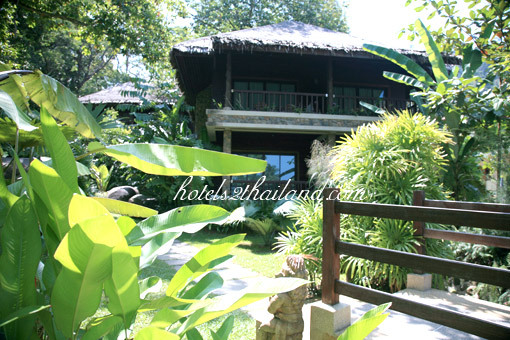 The quaint accommodation is dotted throughout the landscaped grounds and features traditional palm grass roofs and local materials that blend perfectly with the natural environment. 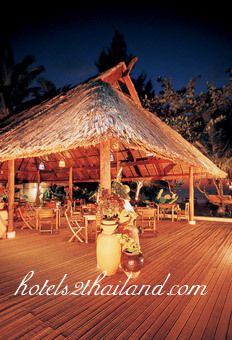 Spend your days lounging by the swimming pool or on the pristine beachfront and enjoy refreshments from the poolside bar. 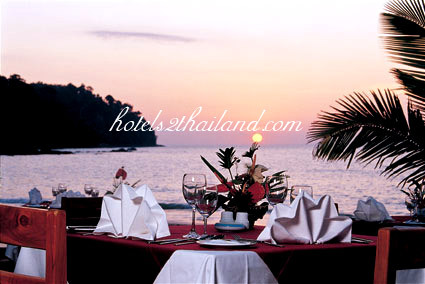 Dine on delicious local and international cuisine in a romantic beachfront setting where the colourful sunset with amaze. The town centre is only one kilometre away and there are plenty of local eco tours from elephant trekking to kayaking and diving with the stunning Similan Islands only 30 minutes away.